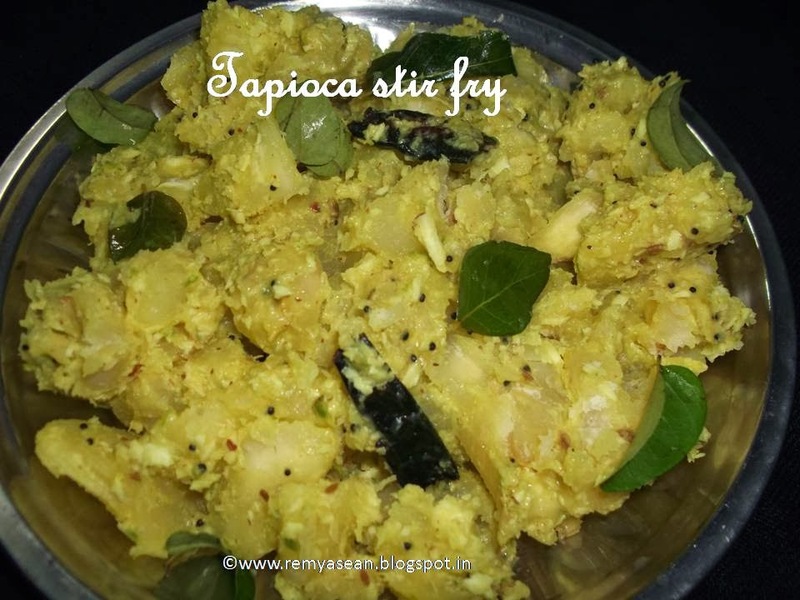 Tapioca is a healthy source of carbohydrate and it is low in cholesterol and unhealthy fats.It is a super delicious stir fry. Peel the tapioca and cut it in to small pieces. Boil the pieces in water with salt. Cook it until it become tender. Crush the grated coconut,shallots,garlic cloves and green chilly together. Add mustard. When it splutters add dry chilly and curry leaves. Add ground coconut and Stir it well.Add a pinch of salt. 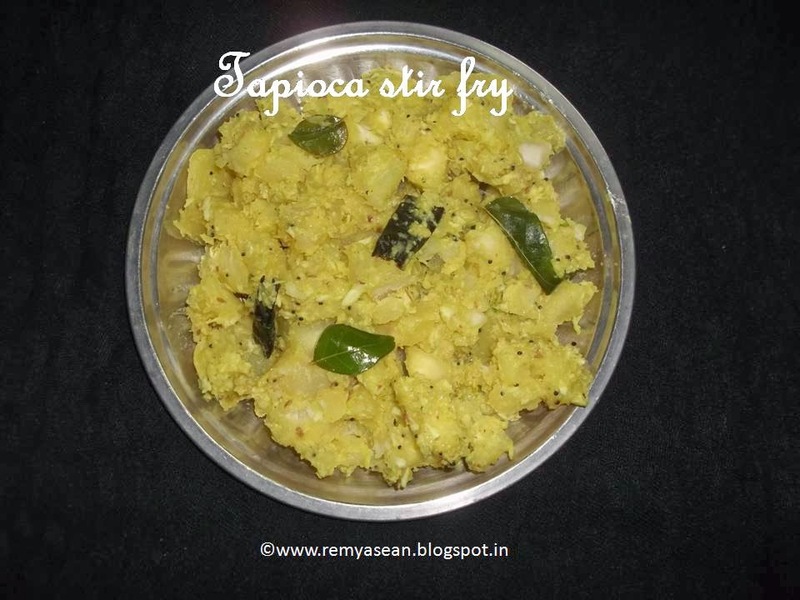 Add cooked tapioca pieces and mix it well with coconut.